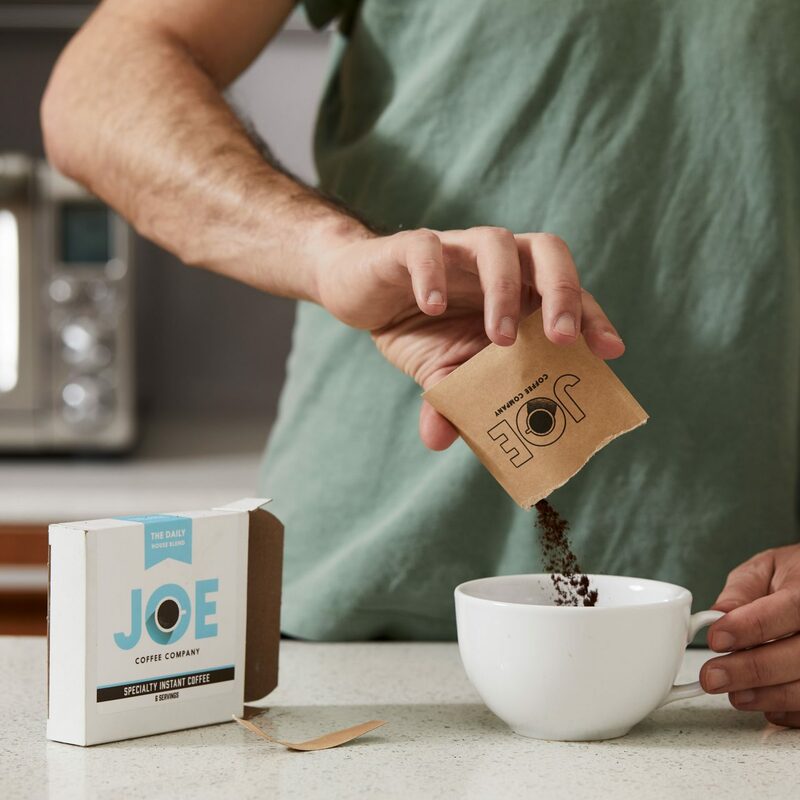 Your favorite cup of Joe coffee is now available in a craft-prepared instant version—the perfect option when you’re camping, flying, on the road, or simply on the go. 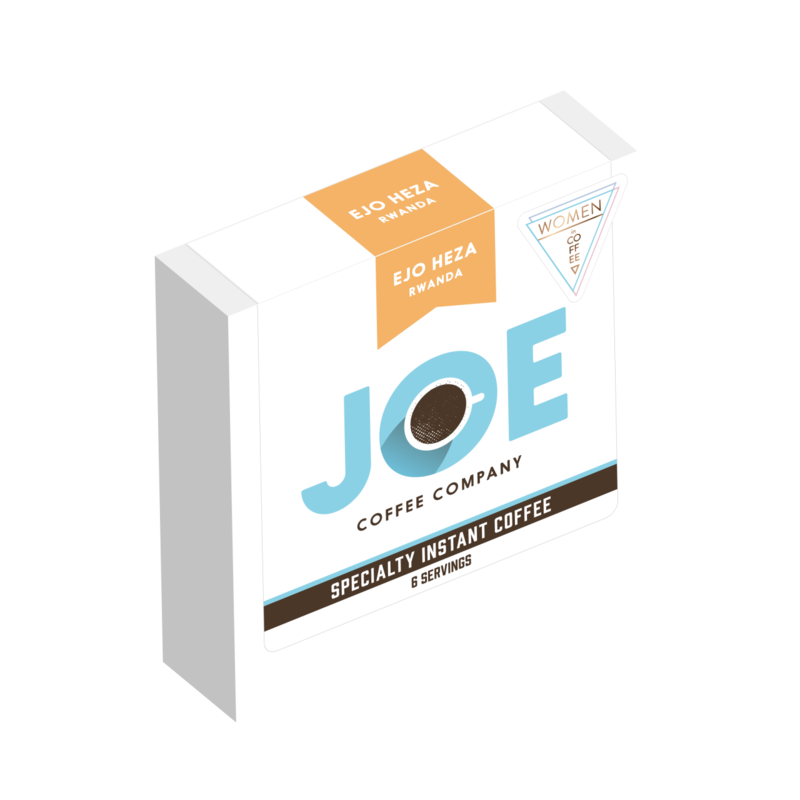 Processed in collaboration with our friends at Swift Cup Coffee, we meticulously roast our coffee in small batches and through Swift Cup’s proprietary process, the coffee is carefully brewed to a very flavorful concentrate before being slowly dehydrated by freeze drying. The result is a concentrated instant coffee that allows the complexity and delicate flavor profile of the roast to shine through. 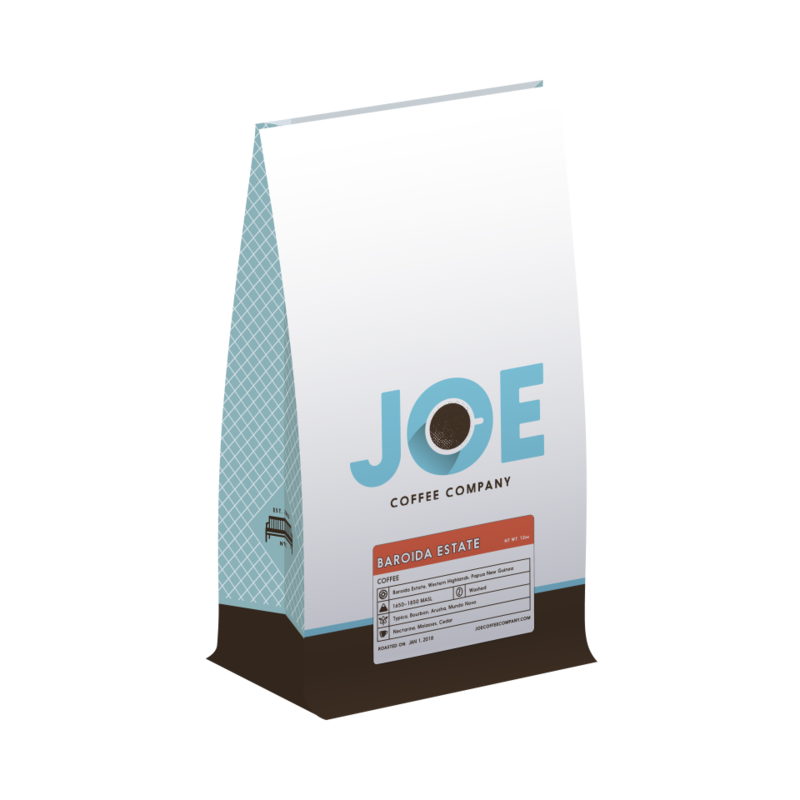 This bright, fruity, classically Rwandan coffee comes to us from a special subset of the Kopakama Cooperative in Rwanda: Ejo Heza, which means “Bright Tomorrow”.  The all-woman sub-cooperative, based in Rwanda’s Western Province, formed in 2011 with full support of the greater Kopakama co-op. The Ejo Heza women manage a communal plot of coffee trees, on which they are constantly experimenting and improving using the agronomy support of Kopakama. In 2016, Ejo Heza was able to found a microcredit savings and lending group to help member farmers continue to thrive. 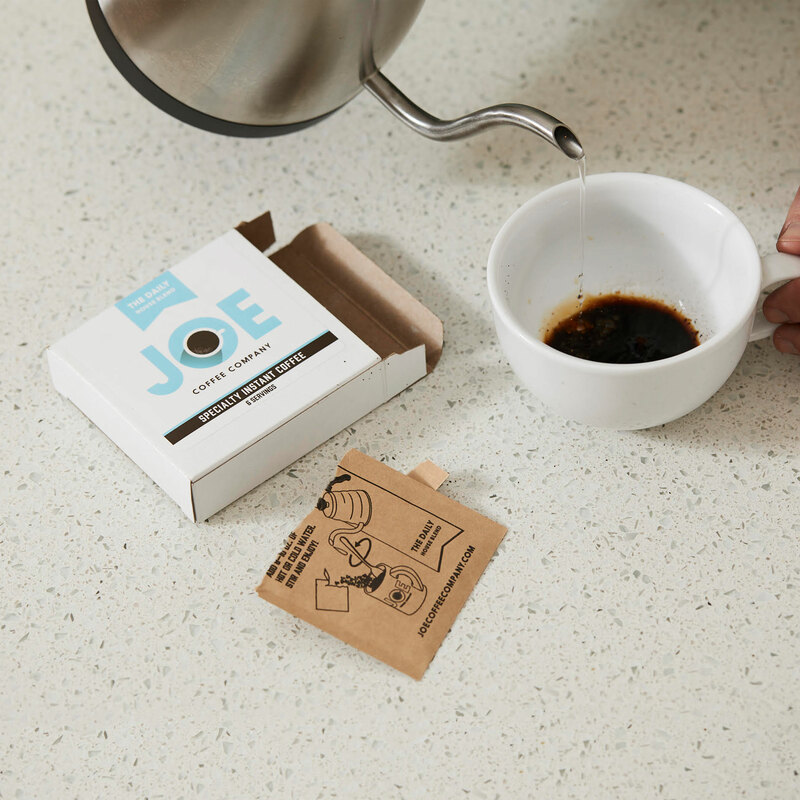 $1 of your purchase supports the Women in Coffee Project, an initiative formed by a group of Joe Coffee employees seeking to highlight and elevate the conversation about the achievements of women in the coffee world. Each box includes 6 individual 5g sachets of instant coffee. Simply add 8-10 oz of hot or cold water to enjoy.